The following is reprinted from the American Freedom Law Center, which is defending Frank Gaffney’s Center For Security Policy from a vicious lawsuit filed by the Islamist Council On American-Islamic Relations. 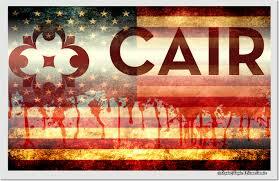 CAIR, which bills itself as “America’s largest Muslim civil liberties and advocacy organization,” sued CSP – a national security policy think tank – and its employees for working on a documentary designed to expose CAIR’s Muslim Brotherhood-Hamas ties and other illegal activities. While dealing a blow to CAIR, the court granted most of CSP’s motion for summary judgment, sending a few of the surviving issues to trial on the presentation of the slimmest of evidence by CAIR. Based on this “evidence,” the court concluded that there were factual disputes that had to be resolved by a jury. The Court finds that Plaintiffs [i.e., CAIR] have thus far been frustratingly unclear as to the injuries at issue for each of the claims. In addition, Plaintiffs have not specified which injury, if any, corresponds to which of the Plaintiffs, and have made little effort to explain the proximate cause linking the alleged tortious conduct to the injuries at issue. Instead, Plaintiffs speak in broad generalizations, asserting injuries and damages and proximate cause across multiple counts and multiple Plaintiffs. As a result, the Court has received only opaque and largely unhelpful briefing. . . . Plaintiffs are not specific as to these issues, making resolution of the threshold questions of injury and proximate cause next to impossible for the Court. AFLC is planning to file a motion for reconsideration, arguing that the court misconstrued both the law and the facts with regard to the few surviving claims.